I have to admit I’m kind of sad. 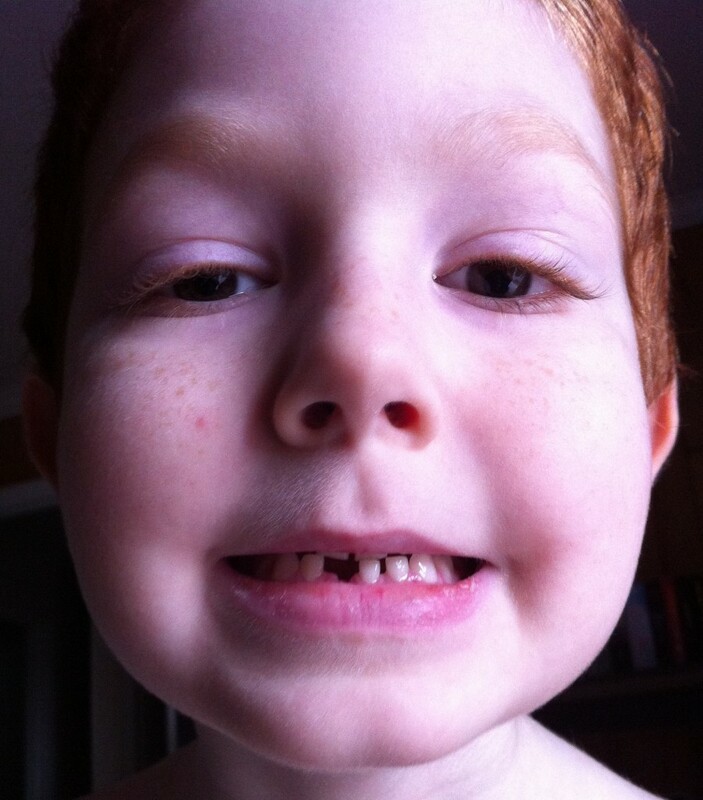 It’s his first loose tooth, and not only did I not know it was loose, we don’t know where it is. We assume he swallowed it. He told me a few weeks ago that his tooth was loose, but I checked and couldn’t find anything. But, then, like his big brother, he had been telling me for years that he had a loose tooth.